Sebring Police Chief Karl Hoglund answers a question during a news conference on Jan. 24, 2019, in Sebring, Fla. Five people were shot and killed on Wednesday at a SunTrust Bank. Names of two of the five women killed in a Florida bank shooting are being withheld by law enforcement officials under a new constitutional amendment that has sparked confusion and uneven application around the state. The "Marsy's Law" amendment, named after a similar 2008 California initiative, allows withholding from the public information that can be used to locate or harass victims or their relatives. 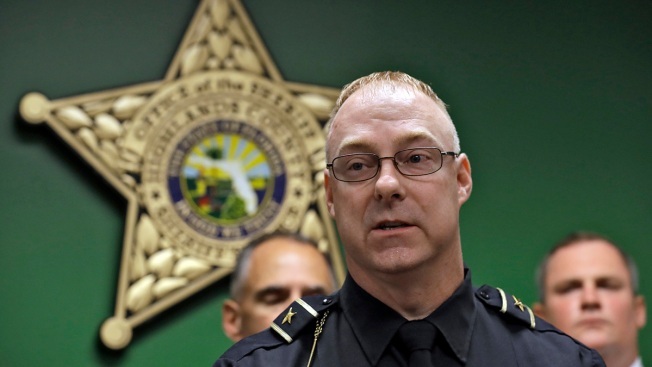 Sebring Police Chief Karl Hoglund cited the amendment at a Thursday news conference to explain why authorities would not release the names of three of Wednesday's shooting victims. Hoglund and the family of one of those women later released the information, as did the husband of one of the victims. One name remains unknown to the public. 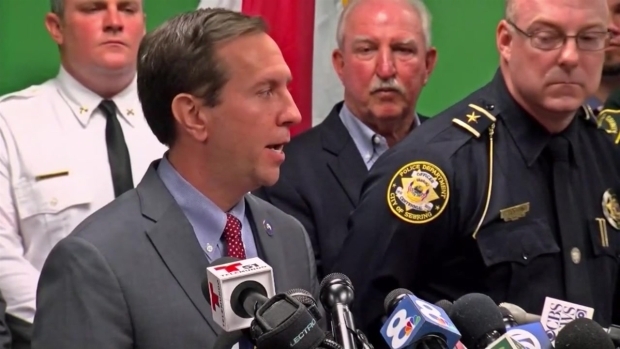 Police have charged Zephen Xaver, 21, with five counts of premeditated murder in the shooting deaths of four employees and a customer at a branch of the SunTrust bank in Sebring, a tourist and retirement city of 10,000 south of Orlando. Hoglund identified two victims: customer Cynthia Watson, 65; and one employee: 55-year-old Marisol Lopez. Later he and the family identified a third victim as 38-year-old Ana Pinon Willliams, a mother of seven. Maine Montague has told NBC News that his 31-year-old wife Jessica Montague was also a victim, although authorities have not released her name. Voters adopted the "Marsy's Law" amendment in November and it took effect Jan. 8. Since then, some Florida authorities have stopped releasing crime victim information while others have continued to do so. Barbara Petersen, president of the Tallahassee-based First Amendment Foundation, said Thursday that state legislators need to provide clarity and ensure the amendment does not conflict with Florida's broad public records access laws. "All public records are subject to disclosure unless there is a statutory or specific constitutional exemption. This amendment does not provide that authority," Petersen said. "How is this going to affect our ability to oversee our law enforcement and know they're doing what they are supposed to be doing?" A key provision in the amendment states that victims have a right "to prevent the disclosure of information or records that could be used to locate or harass the victim or the victim's family or which could disclose confidential or privileged information of the victim." Law enforcement authorities in other states have cited similar measures when withholding identities. In North Dakota, police in the town of Mandan would not release the name of a man wounded in a police shooting. The officer involved in that case also had his identity withheld. 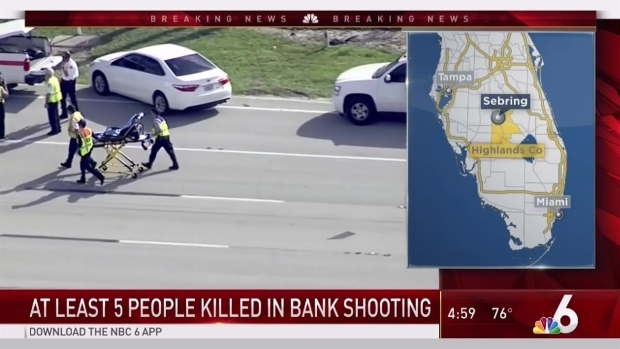 At least five people were killed when a gunman started shooting in a bank in Sebring, Florida, authorities said. North Dakota's attorney general has issued guidance saying the names of only specific types of crime victims can be withheld: those involved in domestic violence, sexual offenses and human trafficking. Petersen said the Florida Legislature could provide similar guidelines by passing a law defining what constitutes a crime victim and which victims' identities can be exempted from public disclosure. "We're getting different interpretations, different enforcement," she said. "It's a dilemma that I think the Legislature needs to address."